Thanksgiving. The much overlooked holiday. I, for one, LOVE Thanksgiving! Yes, the food is delicious, but there's so much more to it. I love the meaning behind it and our family spends a lot of time focusing on what we're thankful for. 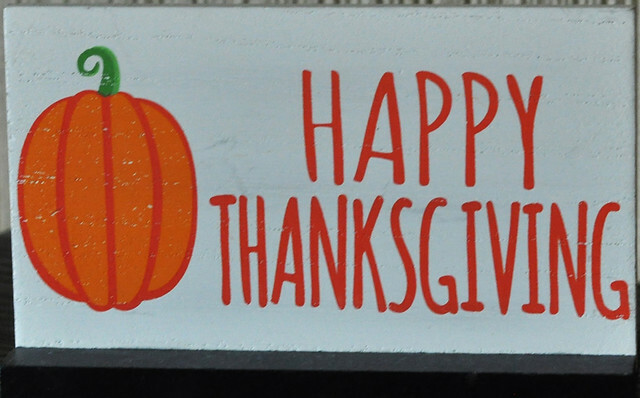 While many people jump from Halloween and go straight into Christmas, we celebrate Thanksgiving from November 1st until Thanksgiving Day! 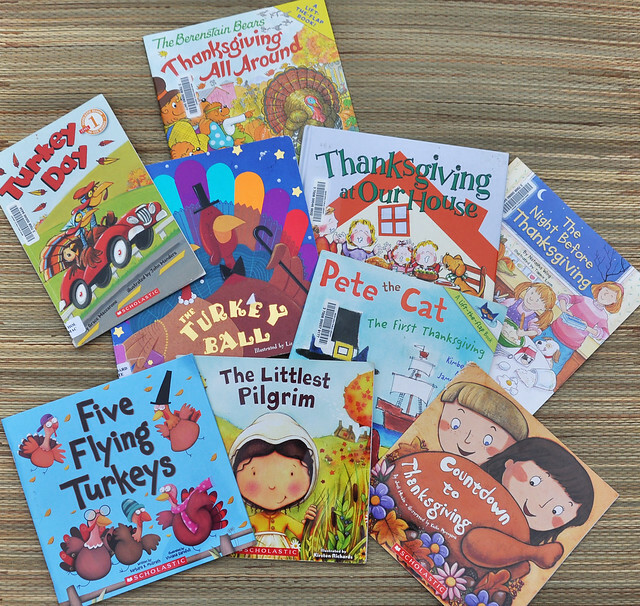 The following day, I'm all for Christmas, but we're trying our best to teach our kids that Thanksgiving is just as important. Being thankful and spending time with family and friends are simple things that mean so much! There is a serious lack of Thanksgiving movies! That being said, there are four that are worth watching! These were on our weekly Family Movie Night Schedule for this month! The first three are great family choices. We watch Garfield and Charlie Brown every year, but this was our first year watching Free Birds. It was really funny and enjoyable for the entire family! Planes, Trains and Automobiles is great to watch with your spouse/significant other! 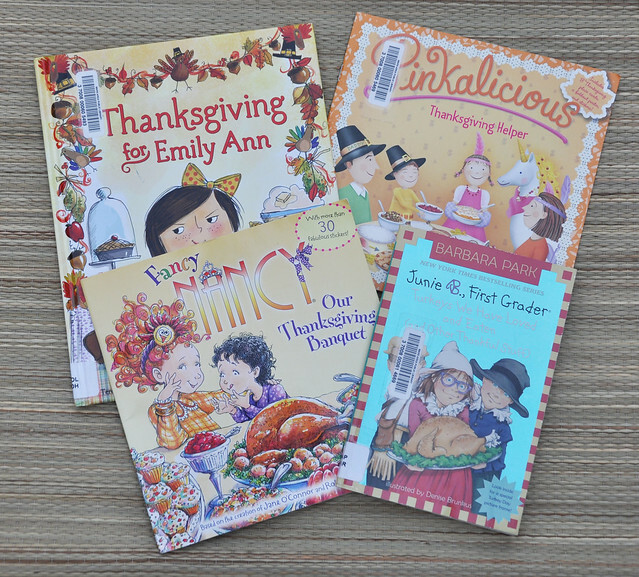 Our family reads every single day! I think it's so important to expose my kids to a wide variety of books. We have a vast collection at home, and we go to the library every week. 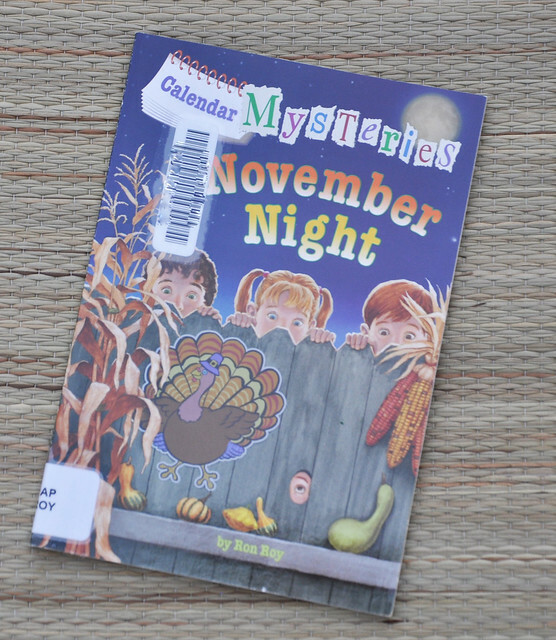 In the month of November, we focus on Thanksgiving-themed books! 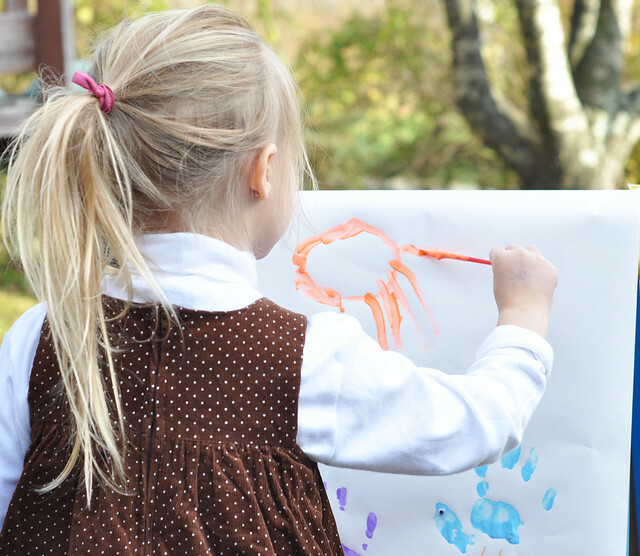 Occasionally, after we read a book, we like to follow it up with an activity! 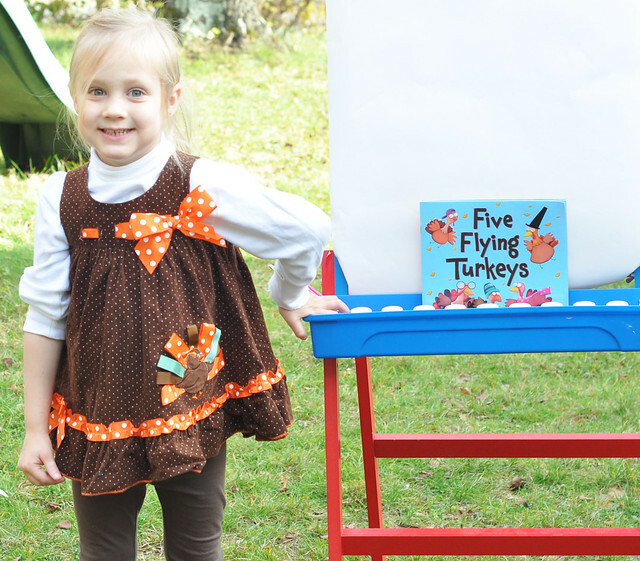 After reading Five Flying Turkeys, I had Lily paint a picture of the 5 flying turkeys from the book crashing down on Plymouth Rock! 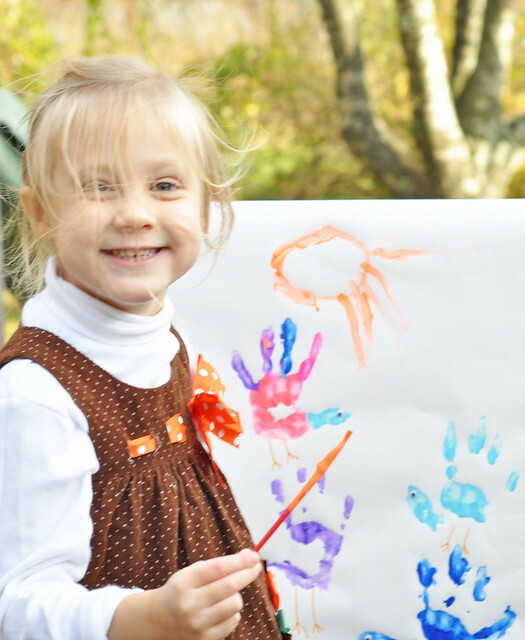 Lily loves to paint, and I love handprint art, so this was a great choice. 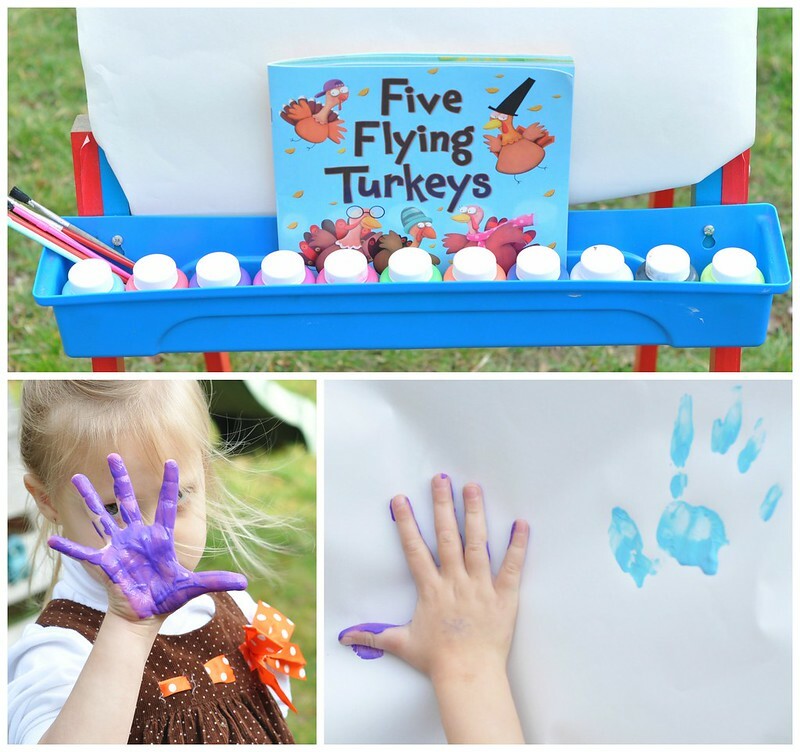 It's just a neat spin on classic handprint turkeys! Lily just created a scene from the book using paint and googly eyes! 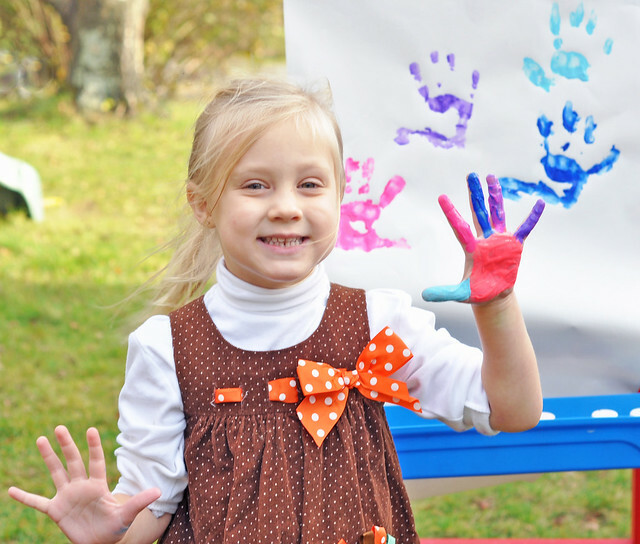 It was a warm and sunny November day, so Lily painted outside. Lily LOVED this one! All four of my kids love play dough! Well, let me be honest. 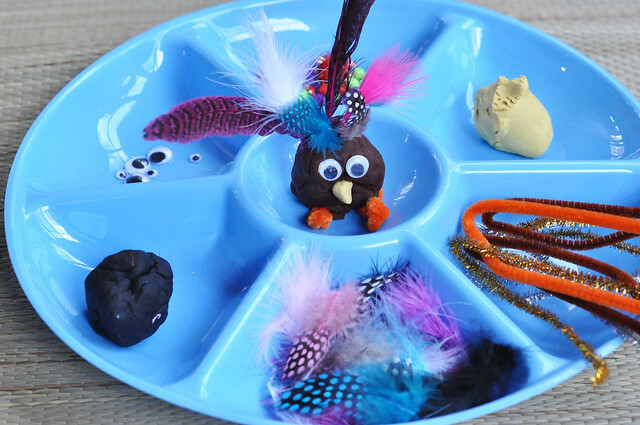 Liam likes to EAT play dough, but I'm sure he will love it someday! 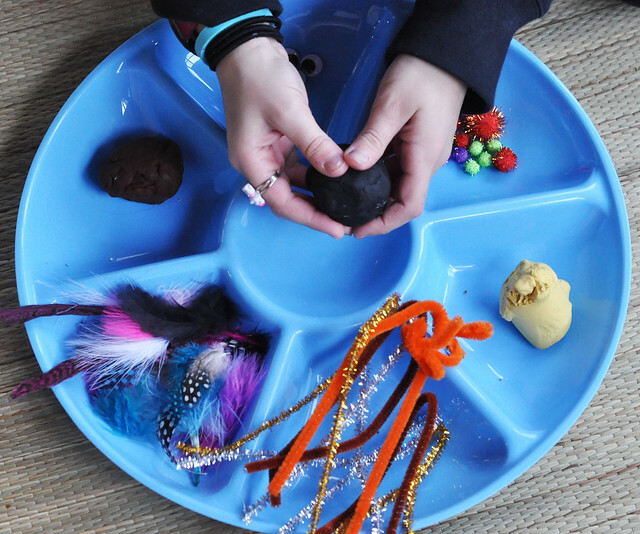 I love fine motor and sensory play, so I'm a big fan of play dough, too. It may be messy, but it keeps my kids busy for hours! 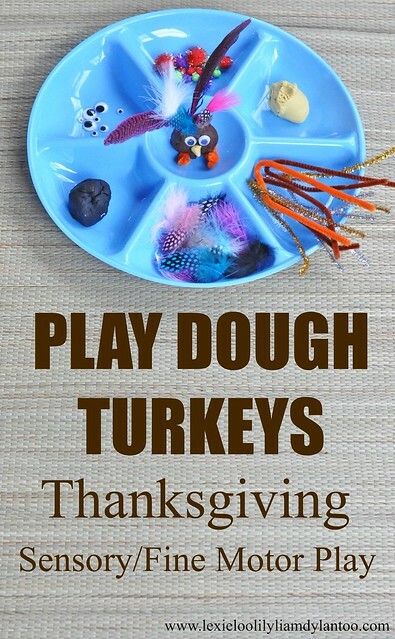 I always try to add in holiday/seasonal play dough activities to keep them interested. 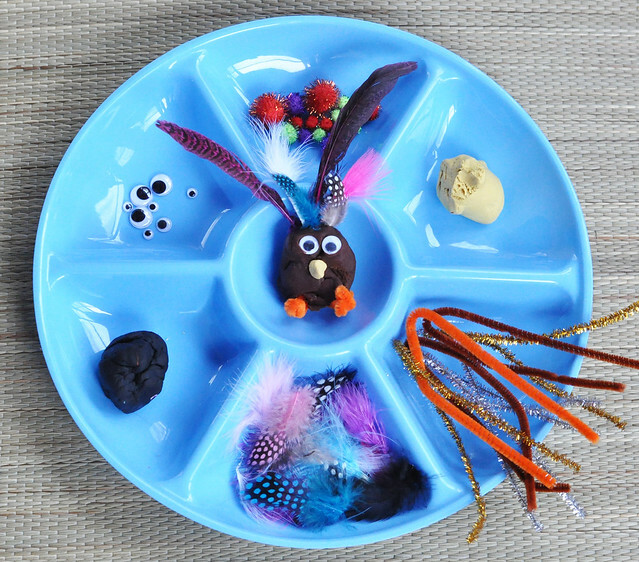 This month, we created play dough turkeys! Any miscellaneous arts and crafts item will do. 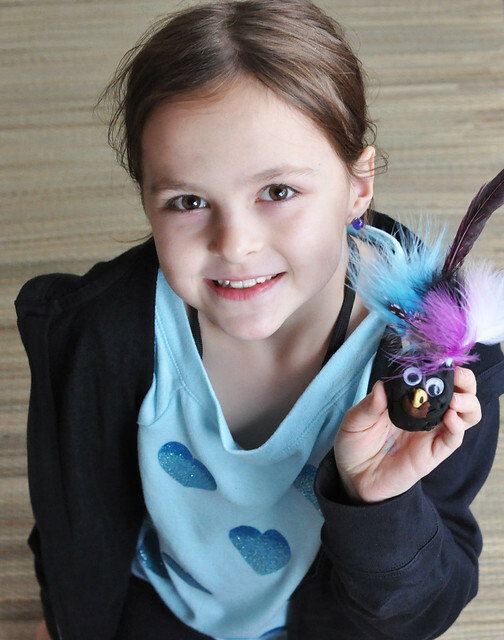 The point is to have fun creating as many different turkeys as you possibly can! Every holiday is special and should be celebrated to the fullest! We're having fun AND counting our blessings!!! Oh my gosh, this is adorable! 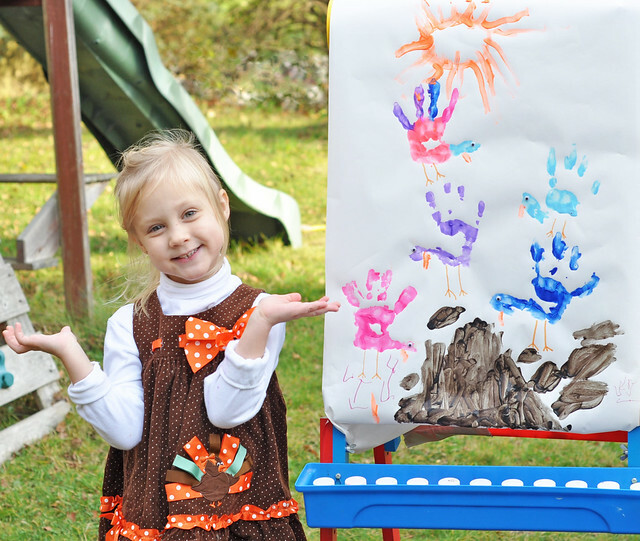 I wish it was warm enough now to take my kids painting outside... That being said, I also love Thanksgiving and wish it was celebrated more. We always go to my cousins house and it is loud, messy, and amazing! The kids have so much fun together and the adults have a great time visiting and looking at ads for the next day. Great post! Thank you! I hope you have a wonderful Thanksgiving! Thank you! Hope you found some fun stuff! Aw I love this Watch, Read, Create, Play idea!!! 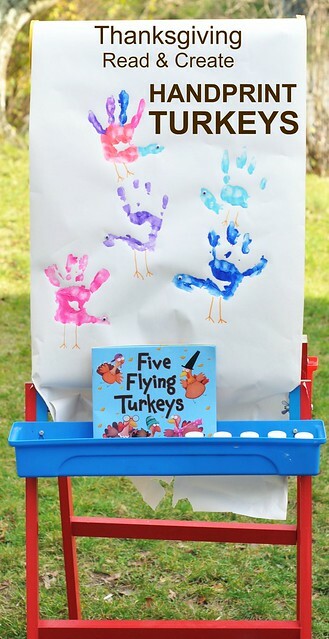 So far we have done a paper plate turkey at our local storytime, but I also like the idea of a thankful tree or some kind of an activity to encourage everyone to think about what they're thankful for. Thank you! I love the thankful tree! Thank you! I love Thanksgiving, too. I love that it's your favorite! Love all of these great ideas! You are so creative.